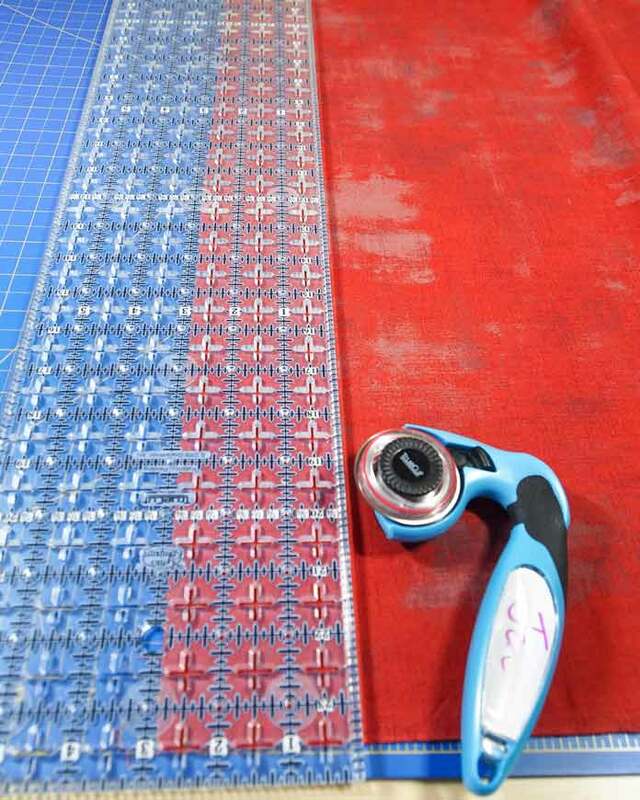 Quilters often experience difficulties cutting fabric with a rotary cutter and ruler. Often rulers can slip or rotary cutters can wander off course and both of these issues can cause uneven cuts. These uneven cuts mean fabric wastage which just won’t cut it in the quilting world. But now we can have perfect cuts every time with the TrueCut System of rulers and rotary cutters. It’s made up of rulers and a rotary cutter. The features below are why your cuts will be perfect every time. No-slip dots have been placed on the back of the rulers which is very important as no one wants a ruler that slips and slides all over the place. These dots keep it firmly in place, especially if you’re not certain about keeping it firmly put. 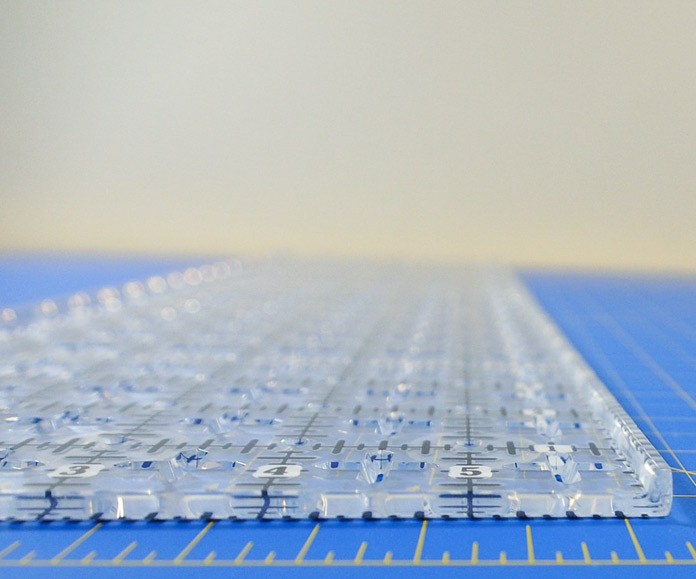 The vertical edges of the rulers have a lip that acts as a track for the cutter which means the rotary cutter won’t wander away from the ruler – no more uneven cuts! The handle is ergonomically designed to reduce strain on the wrist, setting the cutting power directly over the blade. This allows for the blade to cut through all layers of the fabric with ease. 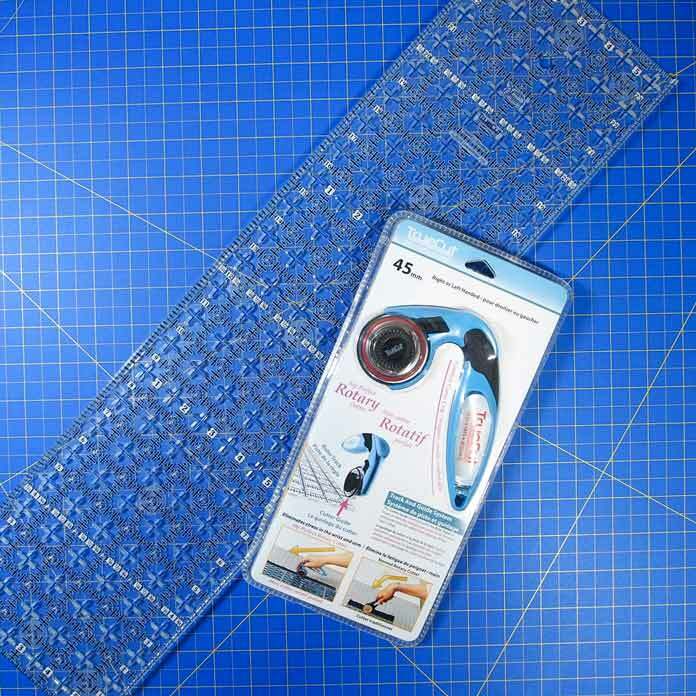 The perfect rotary cutter has a guide that fits onto the ruler track making perfect cuts every time. There’s no chance of wandering off the edge of the ruler. 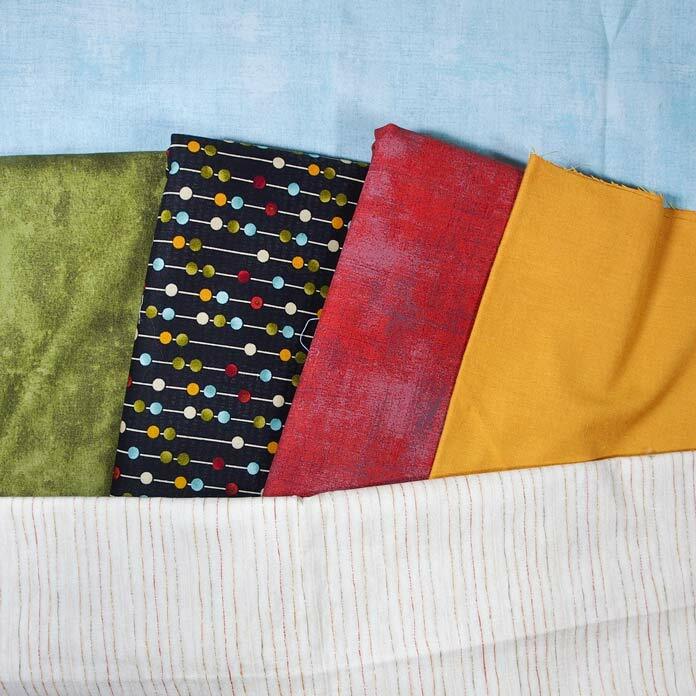 Such a brilliant feature – perfect for the beginner quilter as well as experienced quilters. Now that I took a look at the extraordinary TrueCut System I’ll put it to work cutting some fabric for my next project. I’m having a bit of a mind block about my next project which of course I’d like to share with you this week. Talk about pressure. The good news is I already picked out the fabrics I want to use. They have an autumn feel as well as a festive feel to them. I don’t normally go for the subdued hues but this set really caught my eye. What to use for inspiration? Well how about zigzags. 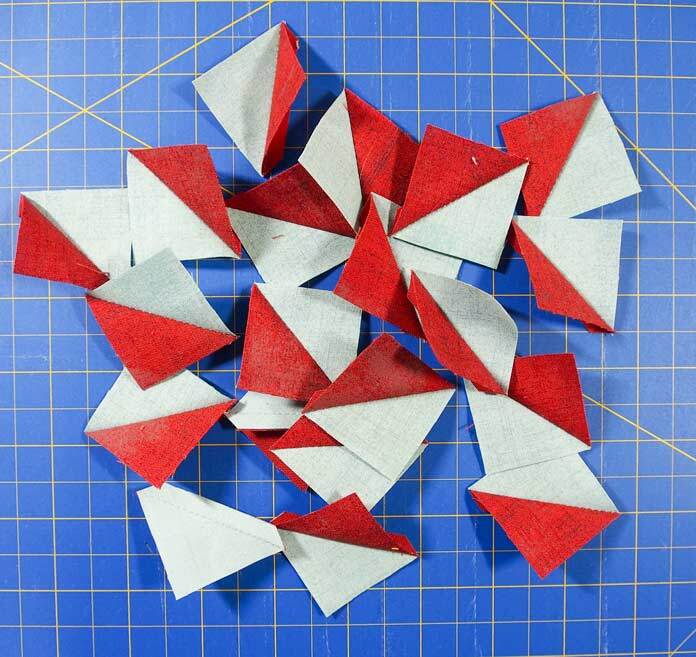 Okay sounds good so I’ll cut some fabric to make half square triangles (HSTs) to create a zigzag. I’ll use the blue and the red for the zigzags. I even sketched out a loose design on a piece of paper to give me an idea of where I might be going with this project. It reminds me of 2 things – Charlie Brown’s shirt and an ECG tracing – yes I was a nurse in a former life. 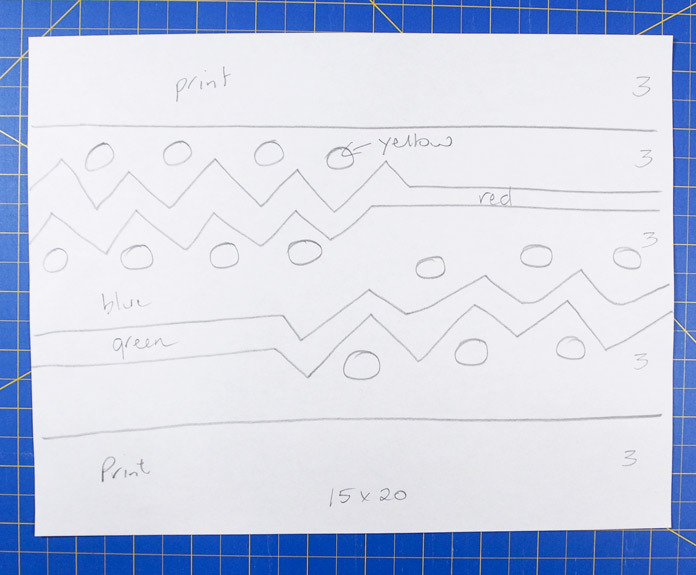 I wanted the HSTs to be 1½″ when finished but when I did my cuts I neglected to add in the ½″ for my seam allowance and so I’ll end up with 1″ HSTs as the finished size in my project – oh that creates tiny zigzags which means I might need a few more. It’s best I get cutting, seeing how I need more of these little guys. 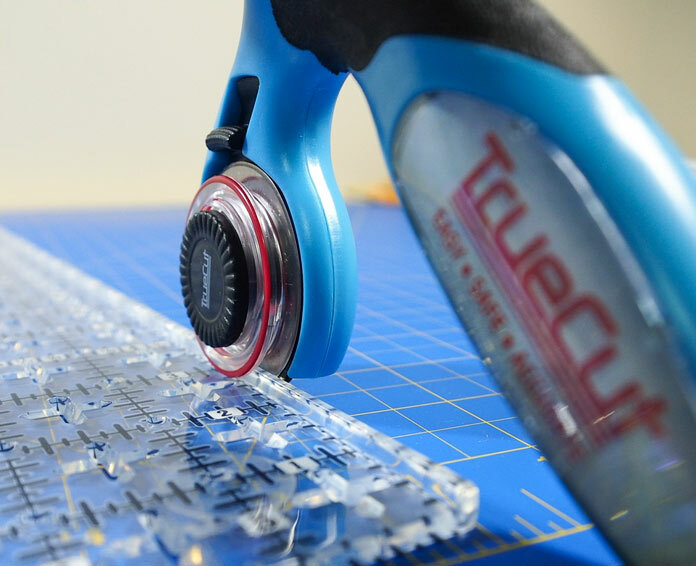 It’s effortless to cut more fabric because I’ll have perfect cuts every time with the TrueCut System. Join me tomorrow, as we get creative with the Charlie Brown’s ECG quilt.